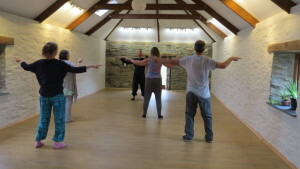 Event: QiGong monthly class, every first Wednesday starting April 3rd. Whom: Anyone welcome inclduing beginners. Place: RoseHip Barn, St Clether, Launceston Cornwall PL15 8QN. Dates: Every first Wednesday of the month. So, why learn QiGong? Apart from it’s fabulous health benefits and energy returns, it is really useful for making the internal changes and connections needed for Tai Chi practice. It also stands up in it’s own right as a health practice as it gently exercises the whole body and the energy meridians. It has a strong mindfulness part too. 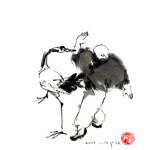 It is a brilliant exercise practice to accompany Tai Chi practice or to use as a daily health practice. Free event this August – date to be confirmed at short notice for a beautiful evening of QiGong and Push Hands!